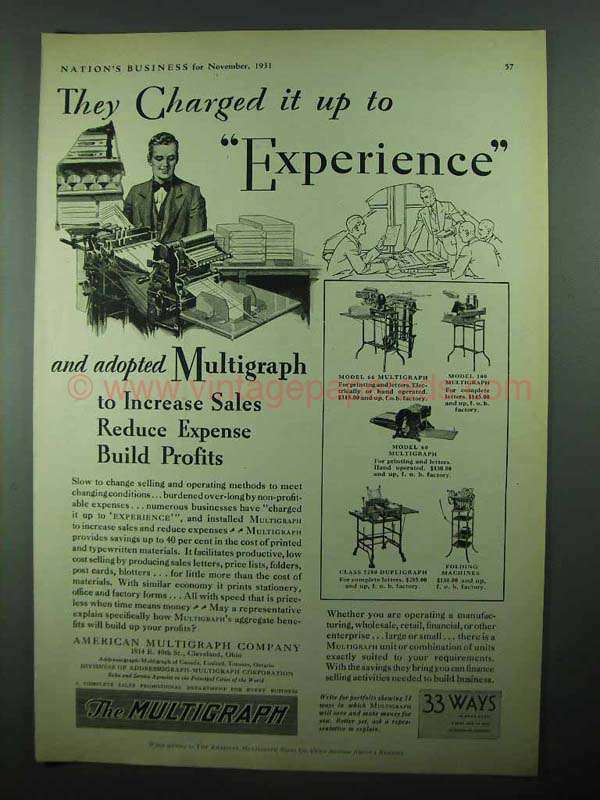 This is a 1931 ad for a Multigraph Model 66; Model 100, Model 60; Class 5200 Dupligraph and Folding Machines! The size of the ad is approximately 8.5x11inches. The caption for this ad is 'They charged it up to experience' The ad is in great condition. This vintage ad would look great framed and displayed! Add it to your collection today!